The election of the post of Mayor and Dy.Mayor will be held on 4th of March. 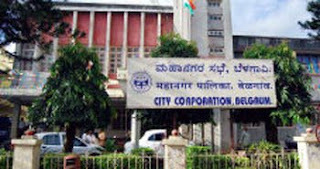 It has been over 4 months the corporators have been elected but the city did not have a Mayor. The tug of war between Kannada group and Marathi group is on its acme. The best thing is the equation is 30-29 in favor of the Kannada group. The urdu group is with the Kannada Group. The marathi group has been taken to somewhere in Konkan area so that there is no more infighting and divide. If the situation goes as it is now a Kannada group mayor is certain this time I guess. But in politics anything can happen. I will keep you all posted. why can we stop this groupism/goundaism elect someone whos is eligible to make belgaum like bangalore or mumbai instead of having kannada /marathi mayor.